Being diagnosed with cancer is like death sentence for many. But this is not the way Australian Muslim Ali Ali Banat sees it. For him, the sickness is unquestionably a gift from Allah. “At this point in my life, Alhamdulillah I have been gifted by Allah with cancer throughout my body and I have changed my whole life to helping people,” he said. “I got rid of my cars, I got rid of my watches, even my clothes I took them overseas and gave them to a lot of people out there. 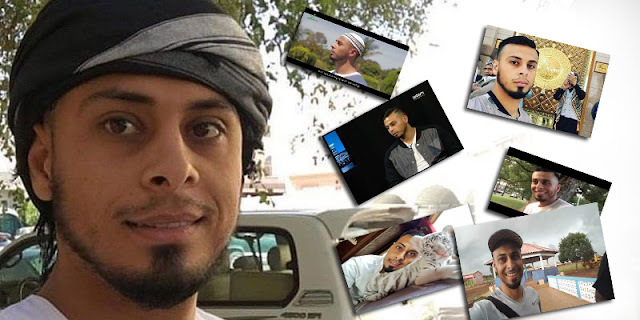 “I wanted to try to leave this world without anything,” said Ali Banat. A trip to his room shows the luxurious lifestyle which Ali Banat was living, from designer bracelets that cost around 60 000 dollor, expensive watches, designers sunglasses and top of the range sneakers – some of which has made way to under-priviledged communities in Africa. “Driving something like this doesn’t really cross my mind anymore. It’s not something I want to do anymore.” “After someone tells you, or you find out that you are sick or haven’t got much time in this life, wallahi this is the last thing you want to chase and this is how we should be living our life every day,” said Ali Banat as he advised people chasing worldly objects. AND MAY ALLAH MAKE ALI BANNAT FINAL HOME TO BE PARADISE.